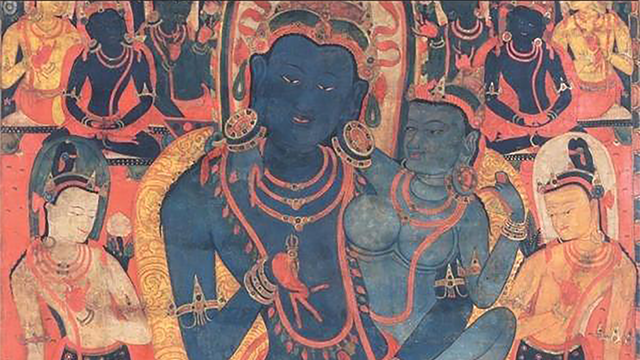 The Tibetan Book of the Dead: A Biography – Zero Equals Two! 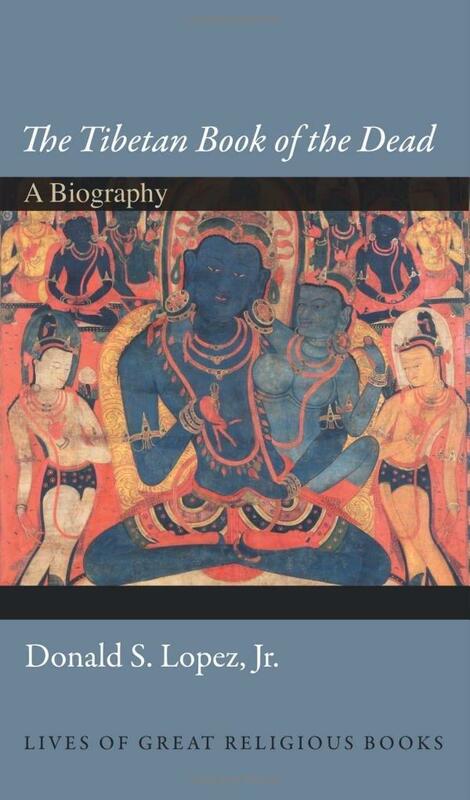 The Tibetan Book of the Dead: A Biography, by Donald S. Lopez, Jr. (Princeton Lives of Great American Books Series). Review by Frater Kikhos ba-Midhbar, posted here with his permission. Strangely, this is an antagonistic biography. Lopez only agreed to write it if Princeton would let him write another Buddhist entry for the series as well. (This he admits in the introduction to The Lotus Sutra: A Biography.) His animus stems from the fact that the Evans-Wentz translation, which first appeared in in 1927 and has been the most influential edition of the text in English, is “something of a sham.” (Sutra, p. 3.) The text is obscure in Tibet, being part of a greater cycle of Buddhist literature. It only came to light in the West because Evans-Wentz came across a copy of it while touring India. He had it translated, calling the translator his “guru,” despite not having studied under him nor even speaking Tibetan. Instead, Evans-Wentz added layers of introductions and notes to the texts explaining the deeper secret meaning of the text. While not labeling it as such, his secrets were straight-up Theosophy. Subsequent readers thought they were getting actual Tibetan Buddhist insight, when in fact, they were getting H.P. Blavatsky’s romanticizations and inventions. 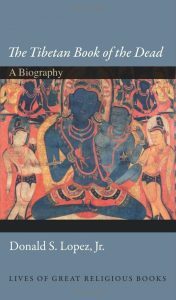 The irony, in the event that another was needed, is that Evans-Wentz selected two texts for [living Tantra practitioners] and called them the Book of the Dead. . . . [He] selected the wrong texts for translation, and then he dwarfed the translations with various introductions, forwards, commentaries, appendices, and footnotes. The translation became a code to be broken, using the ciphers of another text that is somehow more authentic. For Evans-Wentz, the ur-text is Madame Blavatsky’s The Secret Doctrine, itself her decoding of the The Stanzas of Dzyan in the secret Senzar language, a work she claimed to have received from the mahatmas in Tibet. He does, however, recommend the 2005 Penguin edition of the Tibetan Book of the Dead. It is more an anthology of the cycle of texts than a single work. Also, it is introduced by Lhamo Dondrub, the Fourteenth Dalai Lama, who accurately outlines the theory and practice of the texts. Unfortunately, as Lopez points out, the Dalai Lama does this not because of the importance of the text to Tibetan Buddhist canon, but rather due to the popularity and influence of the Evans-Wentz version in the West. Finally, the reader is surprised that Lopez spends approximately a quarter of the text discussing the origins of Mormonism and other American new religious movements of the early nineteenth century. As the reader progresses, it becomes clear that Lopez seeks to draw an unfavorable analogy to the Tibetan practice of terma, the tradition that ancient Buddhists (in the case of the Tibetan Book of the Dead, Padmasambhava) hid textual treasures in mountains, caves, and temples to be discovered through dreams or meditation in the distant future when they would be needed. (Unlike the “pious fraud” of Deuteronomy, where the holy book was “discovered” in the recently renovated Temple at Jerusalem, the idea of terma is similar to Joseph Smith unearthing the plates Moroni buried in upstate New York, except Moroni was unknown before Joseph Smith, unless one refers back to the Nephites, whom Smith also (re)introduced to the world.) This treatment of the terma tradition may betoken an academician’s rationalist anti-mystic bias toward primary sources (at the best) or a Mahayana Buddhist’s anti-Tibetan leanings (at the worst). The book is available from Princeton University Press. Thank you to Frater Kikhos ba-Midhbar for allowing this post of his review.